Here’s an mind boggling piece of information about the Ontario Government. 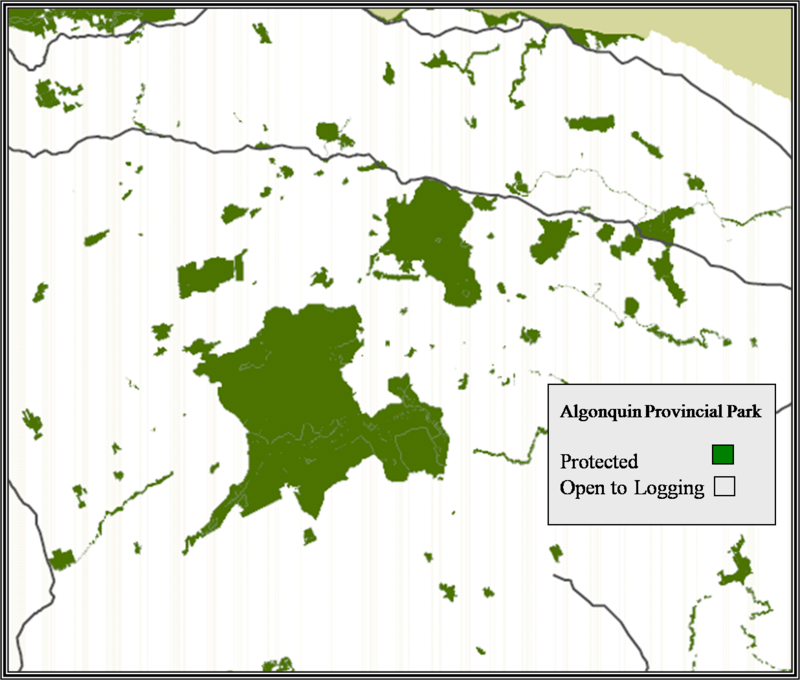 Algonquin Park is the only Provincial Park in Onatario that allows commercial logging within its boundaries. Currently, 78% of the park is open to logging, leaving the other 22% fully protected. Proponents of protected areas conducted a study indicating that there would be no impacts to the logging industry if 51% of the park were fully protected. In other words, no jobs would be lost, no logging money would be lost and the same amount of cutting would occur. Proponents of logging conducted a similar study in response and found that logging activities could continue as there are with 49% of the park fully protected. You would think the logically thing for the government to do would be to reach a compromise and therefore protect 50% of the park from logging. Instead they opted to protect 35%. Can someone please explain the logic behind this decision?